Before and after a divorce, custody and visitation become a top concern for parents. Depending on the specifics of the case, parents may share custody or offer scheduled visitation. In these situations, a divorce lawyer in Peoria, IL can help both parties come to a reasonable agreement in the best interest of the children. At Brave Law Center, P.C., we’re available to assist you with divorce proceedings, visitation, and custody disputes. If both parents are stable, agreeable, and willing to share joint custody, dividing custodial rights may be the best option for children. In cases like this, a divorce lawyer in Peoria, IL will help facilitate this agreement. When one parent retains full custody, the other may be entitled to visitation rights. 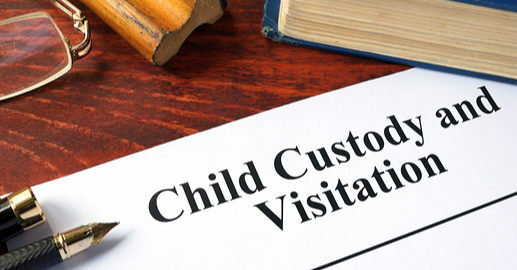 Depending on the relationship between both parents, determining the right to visitation can be a complicated process. Prior to making an agreement, a divorce lawyer in Peoria, IL should be consulted to properly consider all legal options. Brave Law Center, P.C. should be the Peoria, East Peoria, and Pekin, IL communities’ first choice for quality, comprehensive legal counsel for custody and visitation concerns. After years of experience helping families through the divorce process, the team at Brave Law Center, P.C. will provide compassionate legal assistance. If you’re in need of a divorce lawyer in Peoria, IL, contact Brave Law Center, P.C. today for a free consultation.